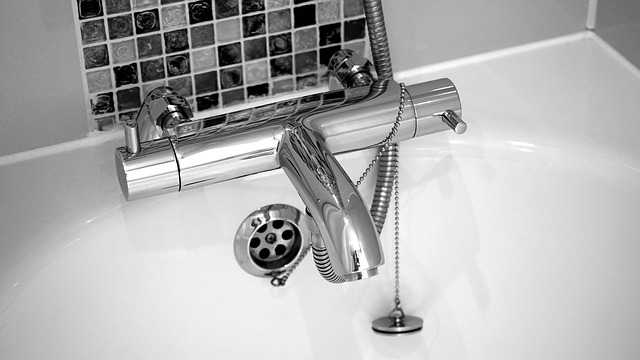 Manhattan bathroom remodeling projects can seem too overwhelming to tackle. So all too often, we postpone or even completely neglect desperately needed updates. Deferred maintenance and home repairs take back seats so long in our busy lives, that we often never get around to doing them. We learn to live with dated design, faulty construction and loose or even broken cabinetry and fixtures. Before we realize it, the time has marched by and the space we originally found, “just a little outdated” has become an embarrassing wreck. To say that their bathroom was due for an update, would have been accurate a decade or two ago, but now it was just an absolute must. The remodel had become inevitable, not only for the joy and comfort of having a well-designed space. The time had also come for the homeowners to make life changes and the apartment would soon need to be put up for sale. 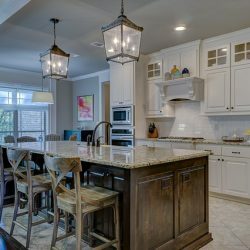 As any realtor would tell you: “Kitchens and bathrooms sell houses.” It was an absolute imperative to get this remodel right and make a good impression. Originally old fixtures, warped formica countertops and ugly peeling wallpaper boarders ruled this bathroom. Also the entire upper half of one side of the bathroom was finished with faux antique mirrored tiles. Along either side above the vanity were light fixtures that made the area look very much like a theater makeup station. The lighting was great not only for makeup but for getting a tan too. Since the homeowners liked a retro type style, in the beginning, they felt this bathroom had kind of a funky, cool vibe. Eventually, though, the funky coolness wore off and the dysfunctional weirdness became the norm. They knew something had to be done. They also knew they would need to appeal to the broadest market possible, in order to generate the most potential for a quick sale. 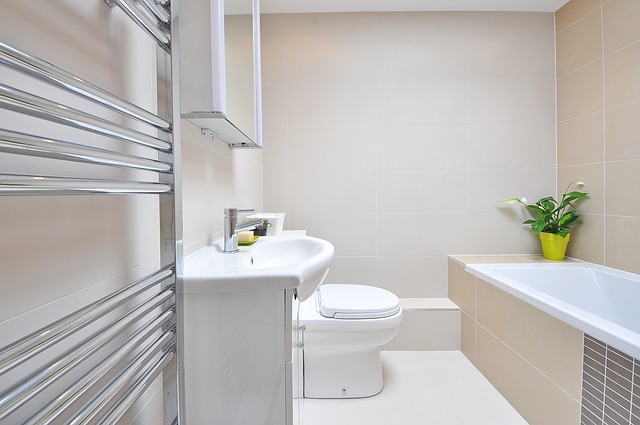 Making the right design choices for a Manhattan bathroom remodeling project could have been a very daunting task, if not for Home Art Tile expert’s advice. In our showroom in Queens, located at 35-10 43rd Street, Long Island City, New York 11101, the professionals sat down with the homeowners and listened to each individual need and wish. Then they guided them through a large selection of kitchen and bathroom finishes. From floor and shower tile to vanities, countertops and faucet fixtures, they found everything needed to create a modern, cohesive look. Since they were not only remodeling for themselves but also for potential buyers, these homeowners choose something neutral but of premium quality, that fit the style of the apartment. 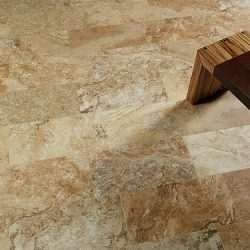 For them, the right choice was an earth-toned marble, in shades of tan and beige. Shower insets were featured with a matching mosaic and boarder pieces that added just the right amount of flair, while the floor was lain with a beige basket weave tile. The earth-toned marble set the tone for the rest of the bathroom too. A vanity from the Kensington series, topped with black granite and with plenty of under sink storage, replaced the old unsightly one. As a finishing touch, a brushed nickel faucet with an open top flow feature was installed for a little extra character. In short, the homeowners completely transformed their bathroom from the embarrassing wreck it was, into a modern showstopper.